Where Do I Get Life Insurance in South Africa? When you die one day, will your loved ones be able to carry on with their lives, coping financially? Time to ask: where do I get life insurance in South Africa! This is the reason that most responsible people take out life insurance. They choose to cover the family’s financial obligations in the event of their death. Whether you are young, old, single, married, or just starting a family, accidents do happen. Who knows what might happen today? Where Do I Get Life Insurance? Outsurance claims that whatever happens in life, they will take care of your financially. Their advisers are FAIS compliant and highly qualified, enabling them to meet each client unique and individual requirements. – You may combine death, disability and critical illness cover in the same policy, and pay only one premium. – Guaranteed premiums for five years. – A nurse conducts the blood tests in the privacy of your home. – Included is a free funeral plan. – There is no waiting period. – Anyone between the ages of 18 and 65 may apply. – If you are diagnosed with a terminal illness with less than a year to live, 50% of the total insured amount will be paid out to you. You are automatically covered for this benefit. – After 15 claim-free years, and if you had taken the particular option, you would get a bonus, the famous OUTBONUS. – They will ensure that your calculated premiums will fit your pocket. The Standard Bank is one of South Africa’s leading banks, trusted by millions for over 150 years. They believe life insurance is vital to ensure your loved ones are cared for when you pass away. – They can include disability, death, salary protection and serious illness cover into one policy. – The company tailor makes the policy for you. – You may have an unlimited amount of beneficiaries. – You may apply directly over the phone without using a broker, saving you time and money. – Your individual risk profile determines the policy, and what you can afford in monthly premiums. – You may increase your cover at any time. You may also add or take off beneficiaries. – They do the necessary blood tests free of charge. – The lump sum pay-out is tax-free and can be up to R10,000,000. – They also offer you comprehensive life cover against severe illness, disability, and death. – They offer you the most comprehensive cover, but also reward you for living healthily. – The better you manage your healthy living and wellness, the more benefits you will receive. You will just have to link all your Discovery products, to qualify for premium discounts. – Their PAYBACK option pays you a portion of your premiums back every year, or every five years if you prefer to choose that option. – Your cover will automatically adapt your benefits to keep up with your changing needs. There are many other life insurance companies in South Africa, and there will be one that you will feel meets your needs perfectly. 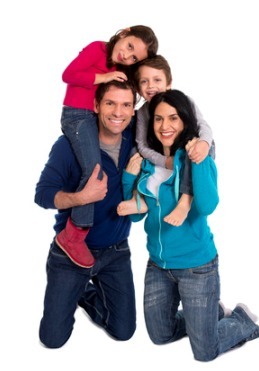 Life insurance provides cash for your family after your death. Can you afford to be without it?